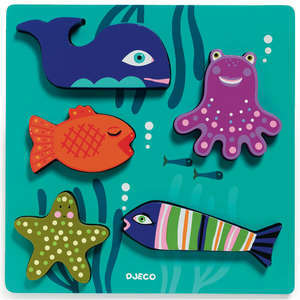 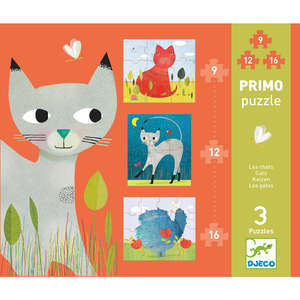 Djeco primo puzzles are a great introduction to jigsaw puzzles. 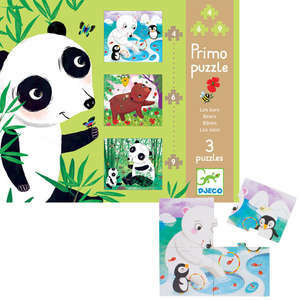 In the jungle contains 4 progressive puzzles that encourage children to progress to jigsaws with more and more pieces. 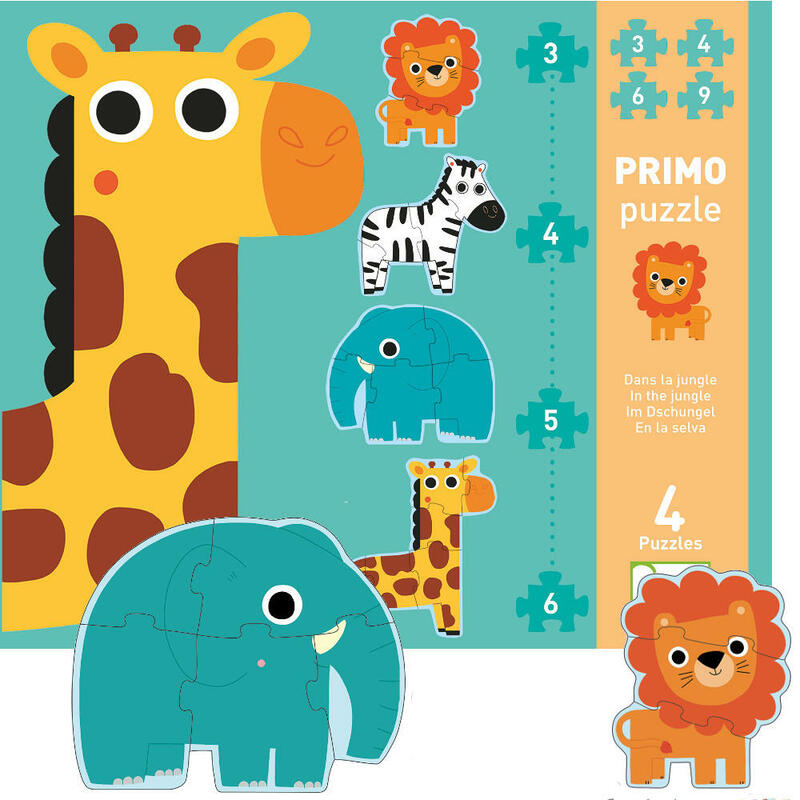 Make the 3 piece lion, 4 piece zebra, 5 piece elephant and the 6 piece giraffe. 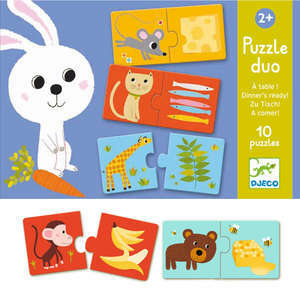 The large puzzle pieces are made from thick card and the fun jungle animals are bright and colourful. 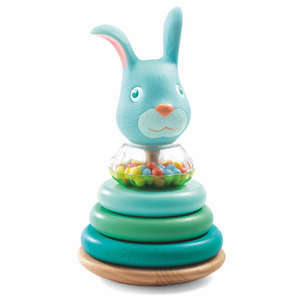 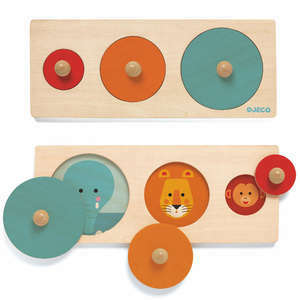 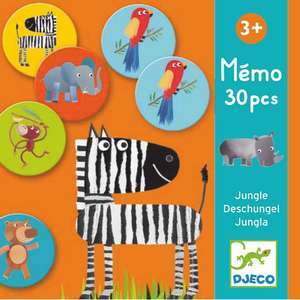 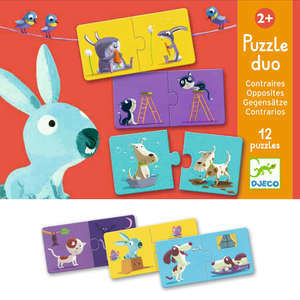 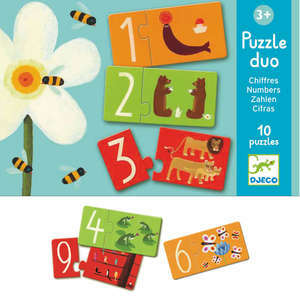 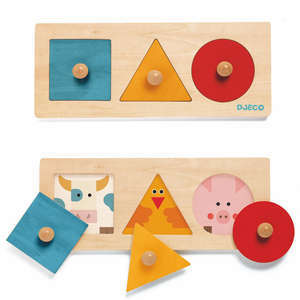 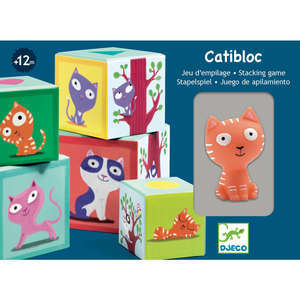 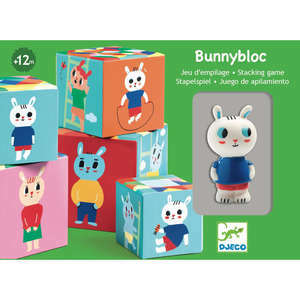 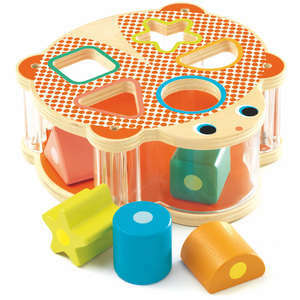 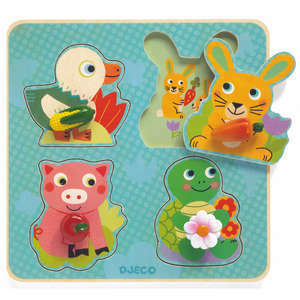 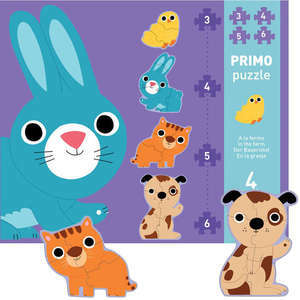 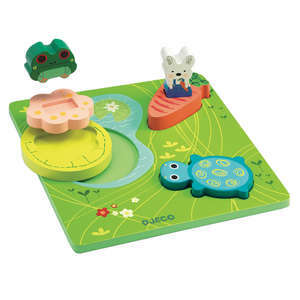 Djeco primo puzzles make a lovely gift and help children grow in confidence as they learn to complete each puzzle.